This summer I served as a botany/ecology field assistant for the Nantucket Conservation Foundation. My duties included conducting plant surveys, vegetation community surveys, tracking spotted turtles, monitoring horseshoe crab populations during spawning, and completing forest composition surveys in the Squam area. 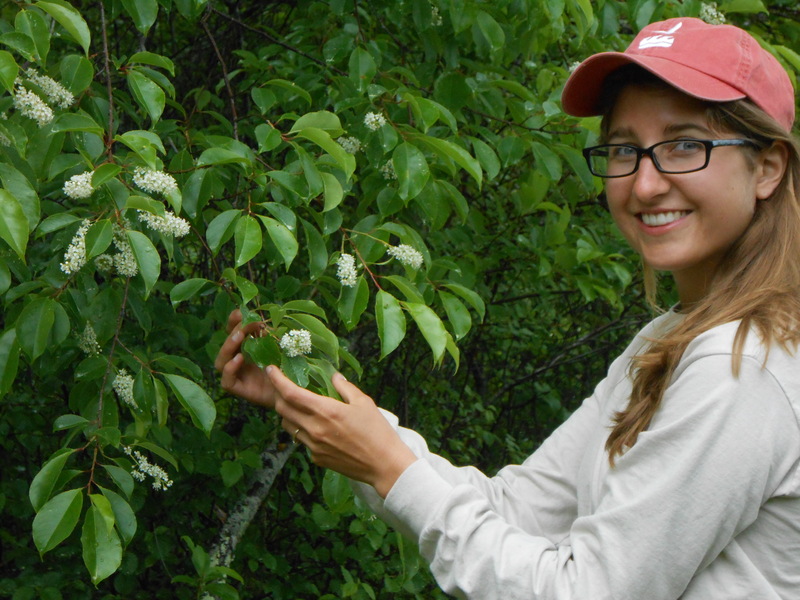 I really enjoyed all of these activities because I was able to utilize my plant identification skills, but I was also able to learn new sampling techniques and new skills like radio telemetry and navigation with a GPS. One of the most interesting jobs I had here at the NCF was monitoring rare plant species using the Element Occurrence data standard. The Element Occurrence (EO) data standard is a tool used by botanists, zoologists, and ecologists to collect information on plants and animals in a consistent way so that the data can be understood and used by all others in the field and analyzed and compared overtime. 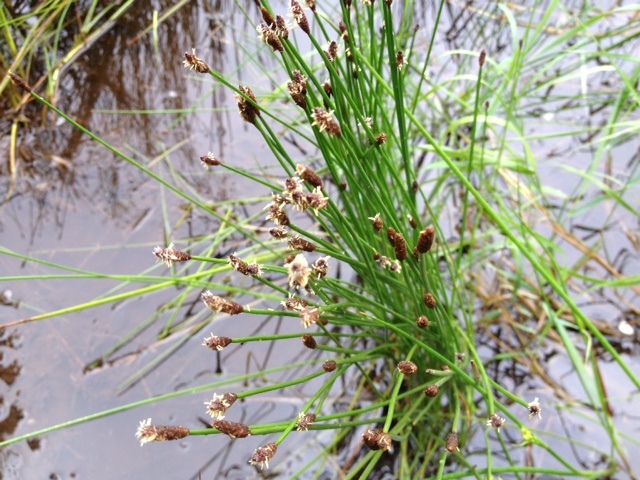 The elements I was searching for and collecting data on were rare plants found in various habitats on Nantucket. The State of Massachusetts compiles a list of species that are ranked as Endangered, Threatened or Special Concern depending their rarity and risk of extirpation from the state. The Nantucket Conservation Foundation and other conservation organizations and land owners in Massachusetts are required to monitor these rare plants if they are found on their land. 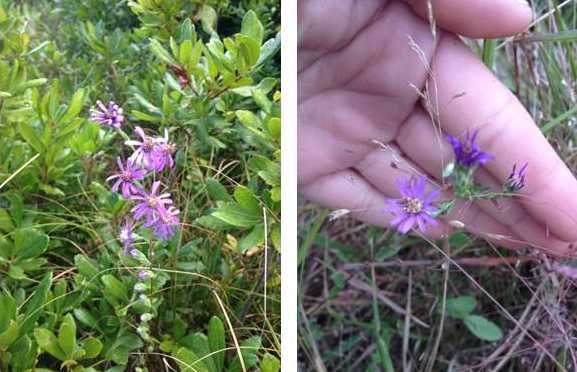 Nantucket has quite a few of the plant species on this list including New England Blazing Star, Creeping St. John’s Wort, and Eastern Silvery Aster. Many of these species are ranked as endangered and one, St. Andrew’s Cross, is found in Massachusetts only on Nantucket! Typically, I would receive a map of the location of the rare plant population from years ago when it was last surveyed. If and when I relocated the population, I would record the number of plants I observed, noted any obvious threats to the population, whether the population has increased or decreased and provided possible reasons for changes. Many of the plant populations are quite challenging to find as they are often in places not frequented by people and trails may not exist in the area. Often I found myself using a map and compass to orient through scrub oak thickets and coastal shrublands to find ponds or marshes containing the plant population. I found it extremely fun and exciting to navigate through a wild area and find often small plants and count the individuals and mark the extent of the population on a GPS unit. Once back in the office, I would complete a report to file with the Natural Heritage Endangered Species Program which is a division of the Massachusetts Fish and Wildlife. Conserving as many plant and animal species as possible is important for the maintenance of biodiversity in our ecosystems. Biodiversity allows for ecosystems to adjust to changes in climate and survive after extreme events such as droughts or floods. Genetic diversity helps species adjust to changes in their environment and prevent disease. One of the most important benefits to humans that biodiversity gives us is that of ecosystem services like cleaning our water, making oxygen for us to breathe, and absorbing chemicals. Though all of these are great reasons to conserve biodiversity and monitor rare species, my favorite is the wonder and beauty of it all. It is hard to drive past a field of wildflowers or walk past a pond complete with water lilies, grasses, and wetland plants and not be struck by the beauty and serenity of it all. I think intact ecosystems with a high abundance of plants and animals is one the most inspiring things in the world. There are hundreds of species on the Nantucket Conservation Foundation properties interacting and working with one another to create a resilient and breathtaking community. I look back fondly at my time here monitoring and managing land on Nantucket, feeling that I did my part to conserve some of the best places on Earth for anyone that wants to experience them. 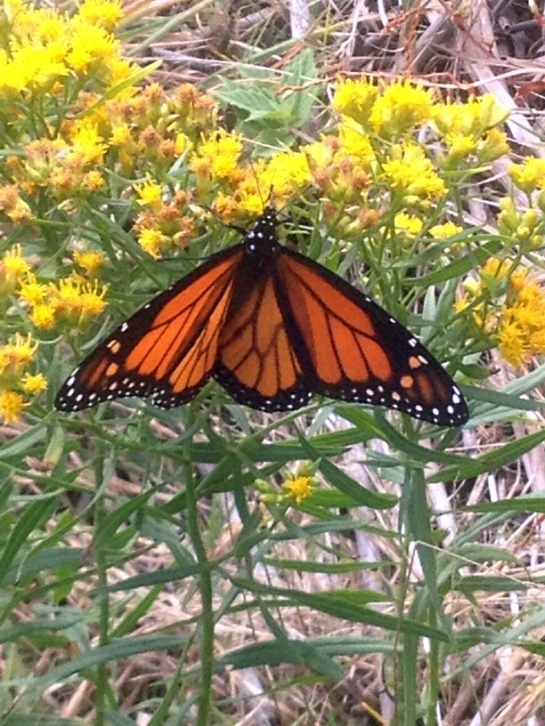 This entry was posted in Uncategorized and tagged biodiversity, botany, Nantucket, Nantucket Conservation Foundation, native plants, rare plants, Science and Stewardship Department. Bookmark the permalink.